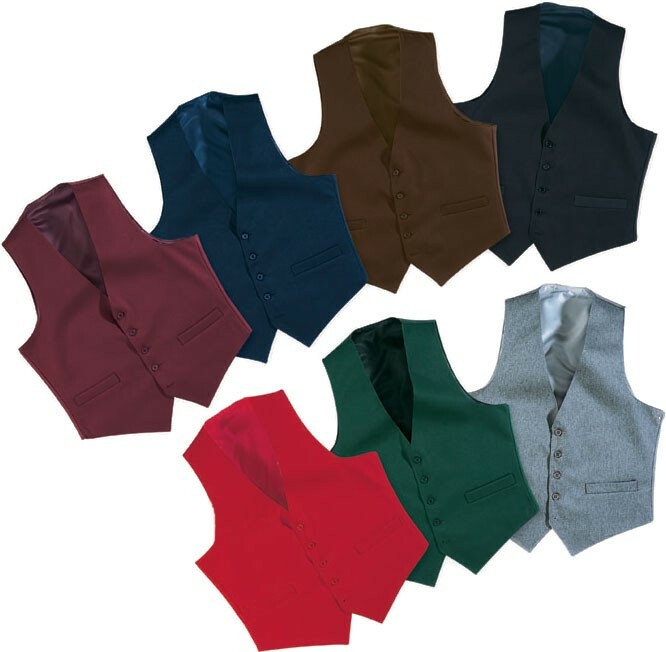 Vests for Men by Henry Segal Co. Full Back vest in Burgundy, Cherry Red, Hunter Green, Navy, Heather Grey available in sizes XS-6XL Fully lined and tailored for best fit. Two useable front welt pockets. Five button front and full cloth back. 100% Machine Washable. 2-3XL (Add $2.00 ea.) 4-6XL (Add $5.00 ea.) For Heather Grey, add $2.